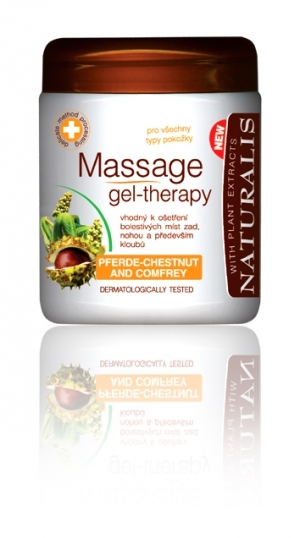 Massage gel with comfrey and horse chestnut is used to relieve pain and reduce swelling exposed places. Regenerate stressed and sensitive skin. They reduce inflammation of the skin; relieve muscle pain and musculoskeletal disorders. Suitable for treating swelling and bruises.